Develop the visual skills needed to perform more efficiently at work, school, and play. Enhance performance on tasks demanding visual effort such as prolonged desk work or computer use. Optometric visual therapy, or vision training (VT), is that part of optometric care that consists of developing, improving, and enhancing a person’s visual performance. Therefore, with vision therapy, patients are able to develop more efficient vision. 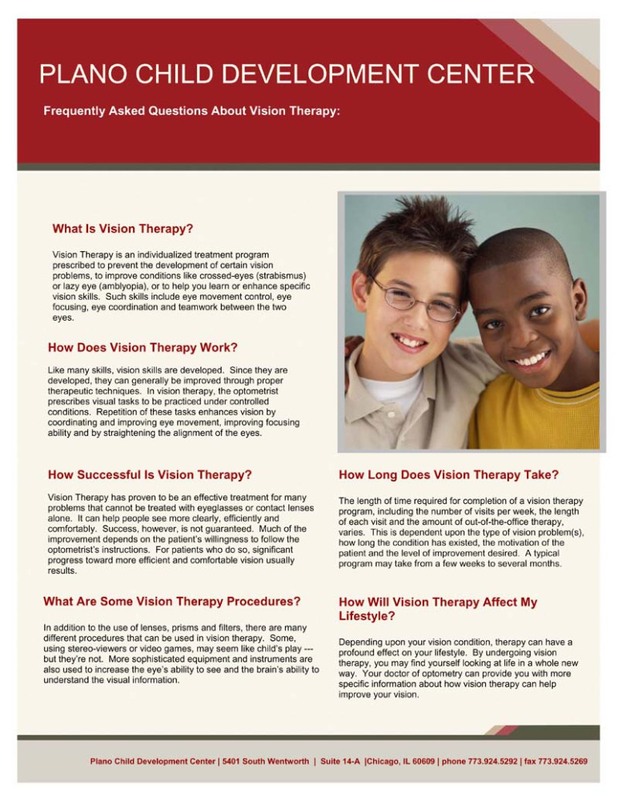 Click here for a printable view of Frequently Asked Questions About Vision Therapy.